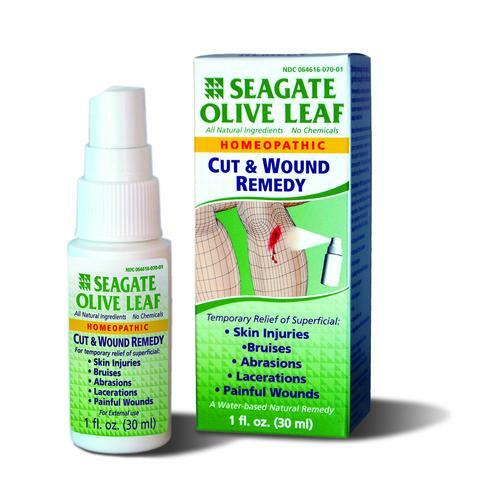 The Seagate Difference: Cut & Wound Remedy contains all-natural edible ingredients. There are no harmful chemicals. Indications: For the relief of skin injury, bruises, tissue degeneration, itching, inflammation, lacerations, punctures, bites and stings, skin eruptions, numbness and burning, and pain from wounds and after operations. Results: When applied to superficial cuts, bites or wounds, you should notice some relief soon after the initial application. If the cut or wound is severe or infected, this product should not be used and you should seek immediate medical attention.